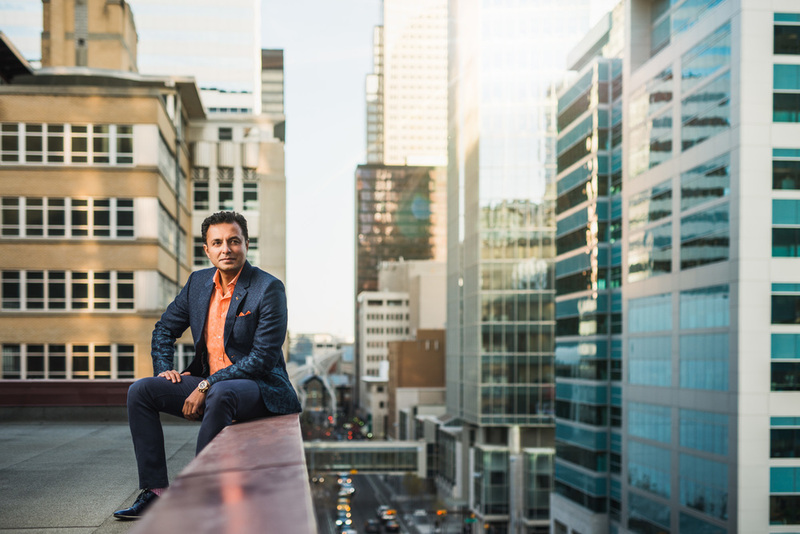 It's no secret that I'm always looking to take business portraits to the next level, so when I'm hired to take a portrait of someone like Riaz Mamdani, who has a boat load of style and owns a bunch of downtown Calgary Real Estate, you better believe I'm putting him on a rooftop of one of his buildings. We shot these portraits in the middle of October, taking advantage of what's been a really warm winter this year, just as the sun was starting to drop down and reflect off the buildings around us. To see larger versions of these portraits, simply hover your mouse over and CLICK HERE.